Whether it is summer or winter, humidity can wreak havoc on your HVAC system. Your system already collects dust and particles from the air, now add humidity to that, and the effects aren’t good. You are looking at having your inefficient heating and air conditioning, mildew, and possible harmful mold. That is why it’s a good idea to have your HVAC system cleaned regularly. This will help keep you and your family breathing in all of these allergens, which will be especially nice if you and your family have allergies. Here at Dust Doctors, we want to make you and your family stay healthy. We can help with this by cleaning out your HVAC unit and ducts. Keeping these clean will help ensure the air all of you are breathing is clean and healthy. Here are some reasons why you want to keep your system clean when it is humid. Efficiency. Working efficiently, your air conditioning should remove moisture and heat from the air, which is what makes your home feel comfortable. Cleaning your HVAC unit will keep it running efficiently. This will help keep your house cooler without making your air conditioning work harder, which, in turn, will save on your electric bill. 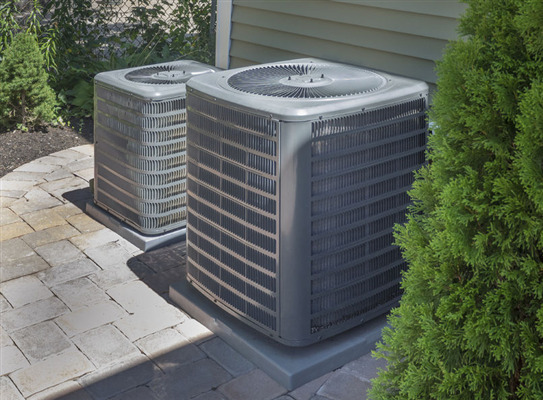 So, keep your unit clean and working efficiently, and your home will stay cooler. Cleaner Air and Home. Dust can collect in your ducts, and when your air conditioning turns on, the air from it will blow that dust into the air and everywhere else in your home. This will lead to poor indoor air quality, resulting in much more to clean. Breathing in all of these particles is not good for your lungs or anybody else’s. You will have layers and layers of dust everywhere. This is where duct cleaning comes in handy. Mold. Mold can be very harmful, especially black mold. Mold loves dark and damp places. And what does the inside of your HVAC system look like? Dark and damp. This can cause mold to grow and collect right along the side of the dust. Mold spores are everywhere, but if you start to breath in black mold spores, it can become hazardous for your health. Efficiency. Humidity, or the lack thereof, has the opposite effect in the winter. Since the humidity drops outside during the winter, it also drops on the inside. This will make your house feel cooler than what it is. Your heating system will have to work harder, just like your air conditioning did. By keeping your system clean, it will work more efficiently. Cleaner Air and Home. You will still have the same problems with dust during the winter as you did during the summer. However, the lack of humidity can make your skin drier and nasal passages drier, causing aggravated sinuses. The lack of humidity can cause damage to your home and flooring. All of these are great reasons for keeping your HVAC unit and ducts clean. Dust Doctors is here to keep your family and home clean and healthy for you. Book your HVAC cleaning today by calling us at 651-319-9777, or you can message us on our contact page.